Sometimes the bad guy is the only one with the stones to step up and deal with the elephant in the room. 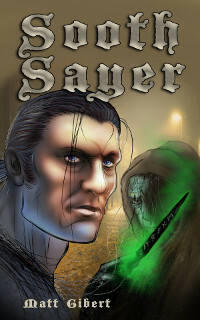 The Soothsayer, a supernatural serial killer who preys on the poor, is a problem. Lucian Lenoir solves problems, usually for a very high fee. Just for today, though, he’s offering a deep discount. But how do you kill a man who can see your every move in the entrails of his victims? An novelette set in the world of the Eye of the Lion Saga. Buy on Amazon, or read free with Kindle Unlimited!